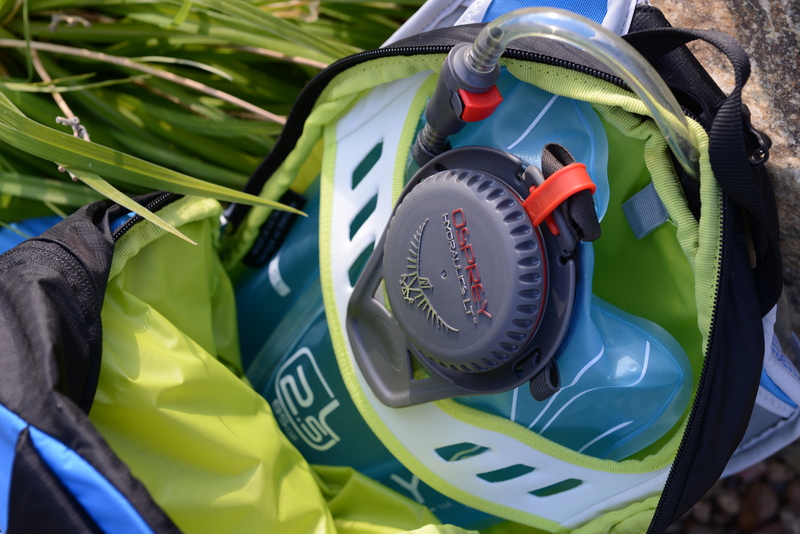 The Osprey Rev 12 is a panel-loading hydration pack designed to be light, versatile, and function as the sole pack for endurance athletes in many sports. 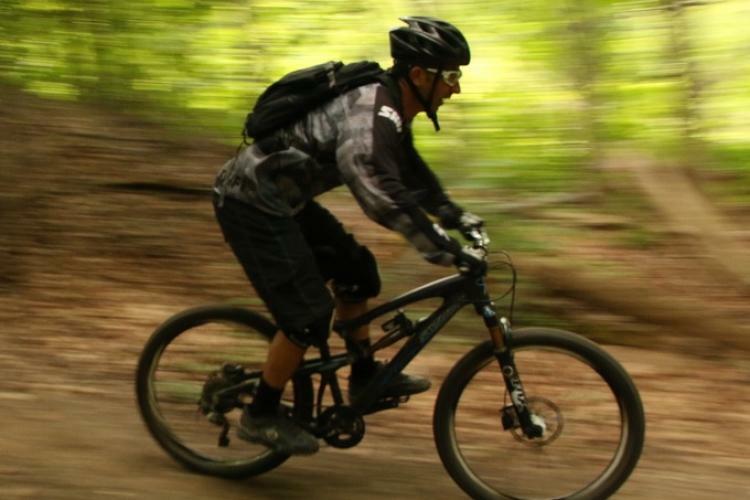 The Rev 12 is light, roomy, and full of features. 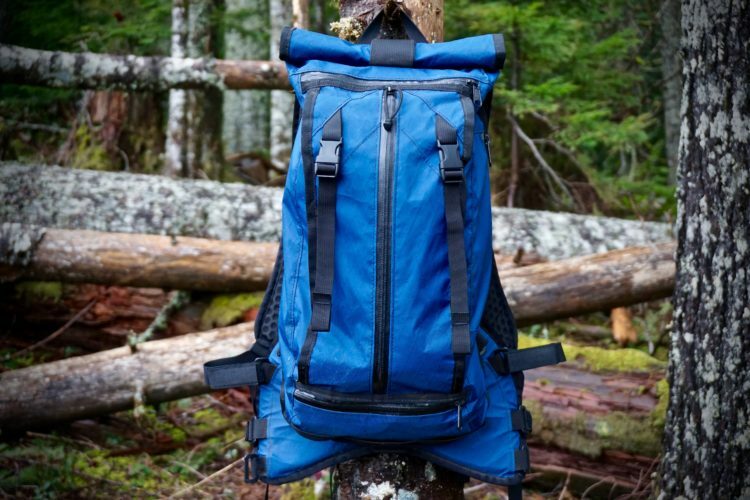 I currently own several other Osprey products, and like all of them: it is obvious that a lot of attention was placed in ensuring that this pack rides comfortably. 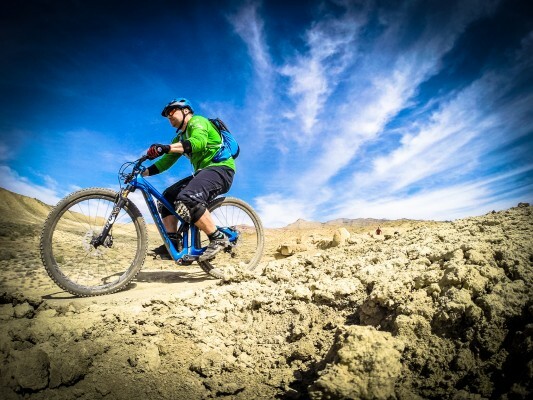 Since it was designed to span several disciplines (endurance running, hiking, and mountain biking) I wasn’t sure how well it would perform out on the trail. 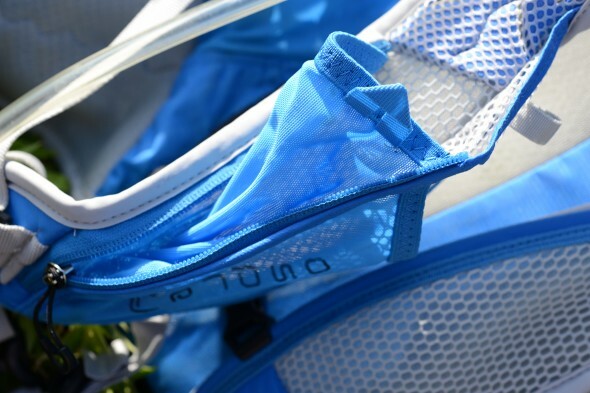 There are a lot of fine adjustments that can be made to get a snug fit, including two horizontal chest straps, to get a near-perfect fit. 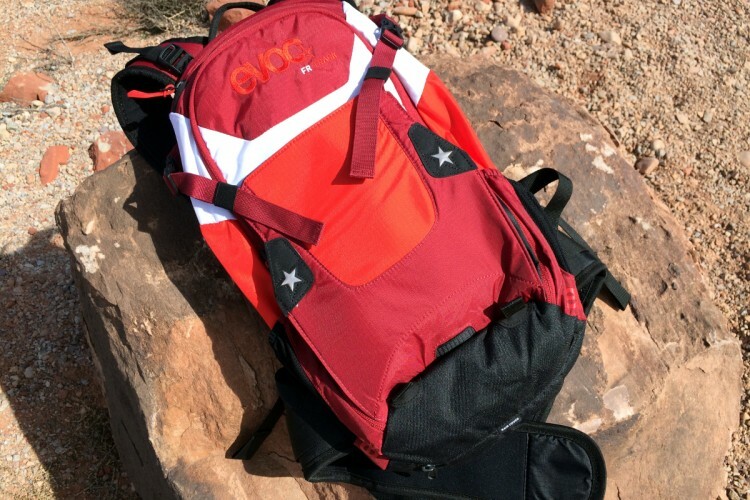 I tested this pack in both XC and Enduro conditions, and even went for a hike with it several times. What most surprised me was how little it seemed to weigh, even with the bladder filled to the max and with enough goods for a four-hour ride. 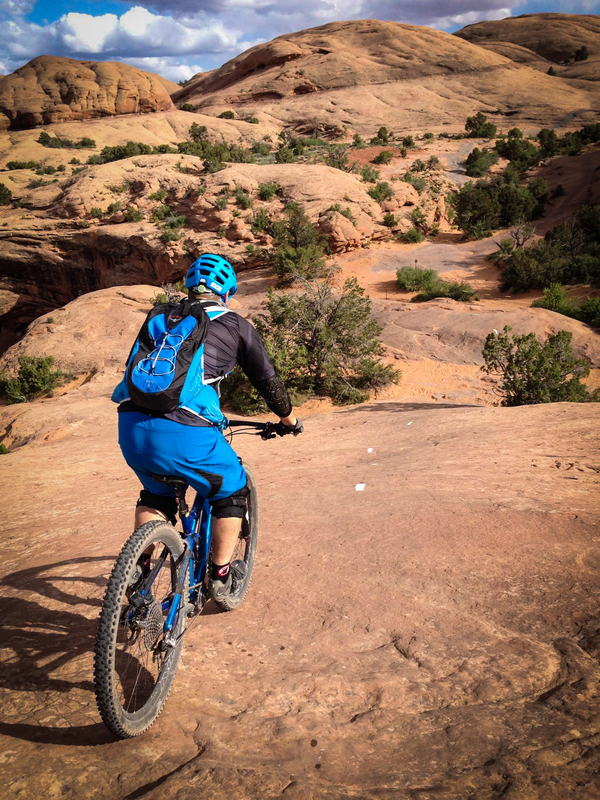 I was equally impressed that it stayed put bombing down drops on Porcupine Rim in Moab, through fast, flowy berms at PBR in Fruita, and over the choppy, techy bits on Colorado front range trails like Apex. I honestly forgot I was wearing it most of the time! 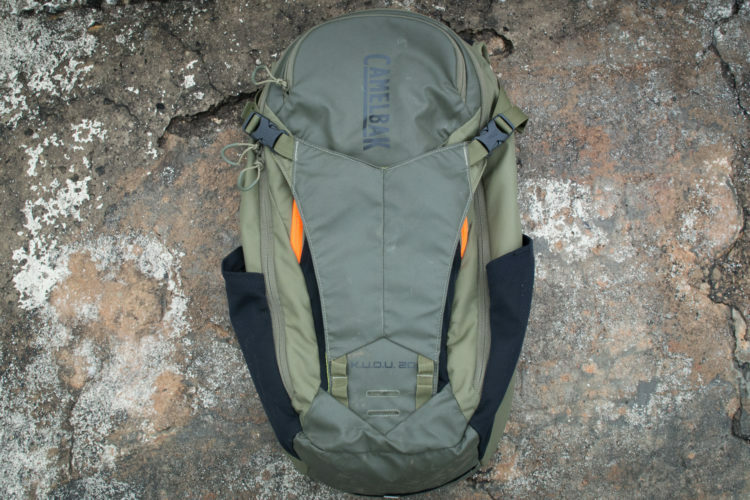 The fabric is light, strong, and stretchy, and has the capacity to hold a lot of gear. The waist strap and chest strap pockets are excellent and hold handy items like a multi-tool or camera that you can access in a pinch. Quality craftsmanship with attention to detail in the buckles and straps. Well-ventilated back panel that reduced sweat build up, even in the desert. Modular design with the ability to remove some items for different sports. The way the bladder sits in the bag and the quick release. Well-designed bladder with no funky plastic aftertaste, even when left in the sun. 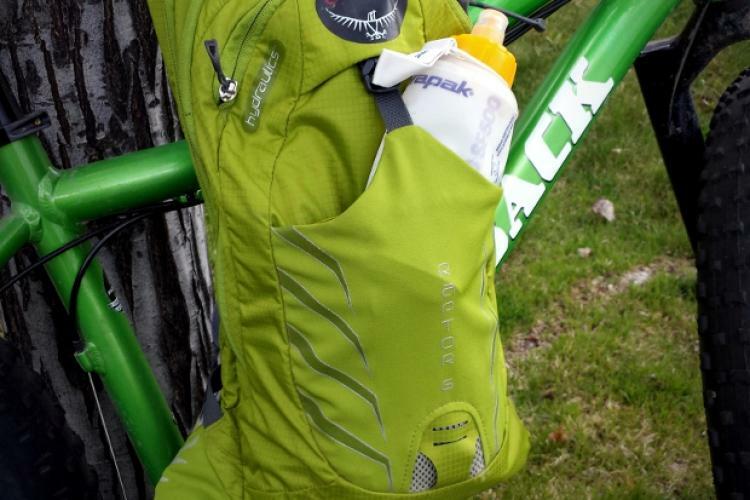 Zippered top slash pocket is handy for quick access to smaller items. 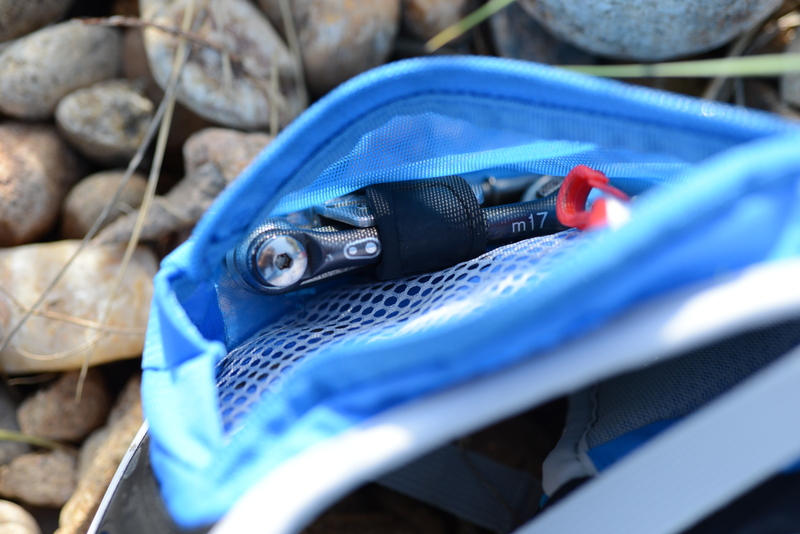 Lots of room to store essentials for long trips, but light enough for short lunch rides. The slash pocket is a nice touch. The removable phone holder was a little out of place. My Galaxy S4 is arguably too big to start with, but it doesn’t fit in the holder. Even if it did, I would not ride with something that big on my chest, and the design forces you to remove the phone or pouch to take a photo or answer a call. I can see why this may appeal to a hiker, but not an endurance athlete. Being able to put a modular holder like this on another part of the pack would have appealed to me personally. Thankfully, you can remove it. Well done Osprey. The second chest strap seemed like overkill. Again, kudos to Osprey for making both chest straps adjustable in every direction, and easily removable. 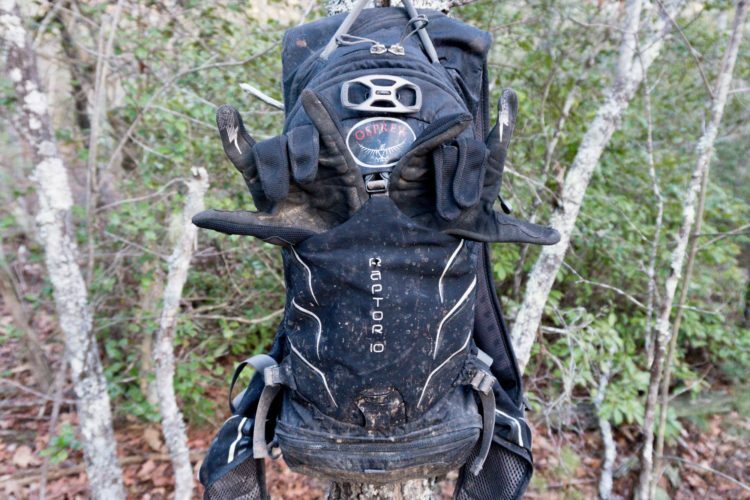 Having a second strap seemed unnecessary because the pack stayed put even on four-foot drops at speed, and it was more of an annoyance to me personally to buckle and unbuckle one more strap every time I took the pack off. The bite-valve magnet is something that takes getting used to. 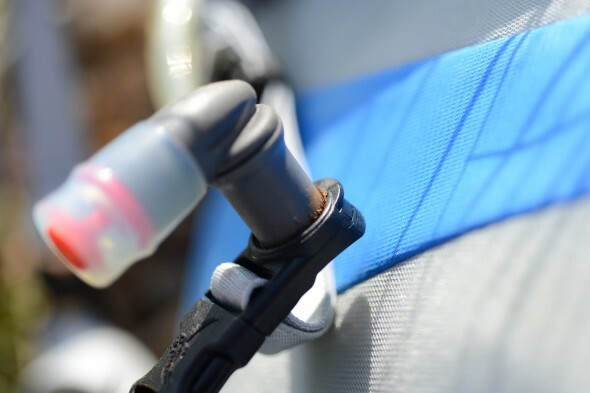 Most of my friends love this feature, but it took me a long time to adopt this tech because it would occasionally drop the bite valve on bigger jumps, leaving the extra-long hose to dangle and smack me in the torso until I reattached it. This was worse when there was dirt on the magnet. This is a nice feature, but can be annoying when dirty. The smaller opening to fill the bladder is difficult to get ice into unless it is in smaller chunks (see the photo above). Having used wider-mouthed bladder reservoirs for the past few years, I had to exercise patience and break apart the larger chunks of ice from my fridge to get it into the bladder. Water purification systems designed to connect directly to Nalgene-style openings will not fit this, either. Actually, I only have one real complaint (which isn’t bad). The buckle that covers the zippers over the back of the pouch was a bit of an annoyance. Unfortunately, this buckle seems vital to keep your gear tucked close to you and cinch up the pack, but it was frustrating to buckle it every time I accessed the inner part of this pack. In addition, the buckle was small, and did not seem as ergonomic as the rest of this product, and required some effort to undo. My suggestion: build a B.O.A. 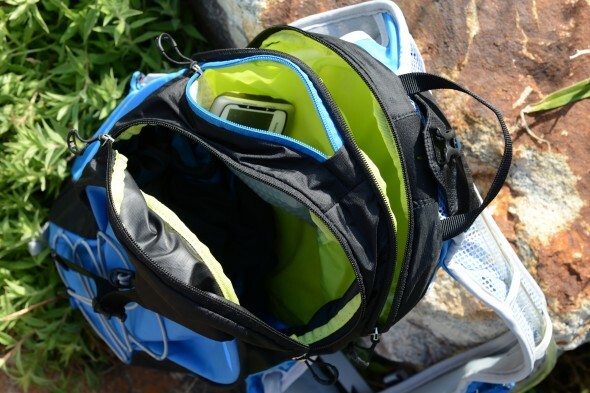 system into the bag so you can really tighten it down when you want it, and keep straps away from the zippers. The buckle on top is a pain to access, but keeps contents from moving around on hairy descents. 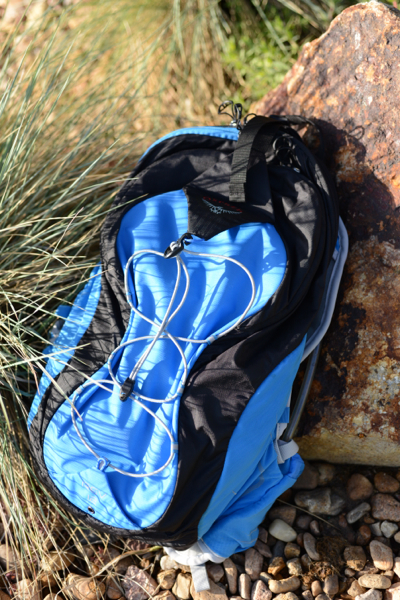 If you’re looking for a comfortable, lightweight pack that is versatile and can cross disciplines, then this pack should be on your back. In my opinion, the best feature is the fact that you can stuff a lot of gear into the Rev 12 and not feel the weight on your back after riding for hours. And, yes, there are several other Rev sizes–the Rev Solo, 6,12,18, and 24–to cover anyone, no matter what they are doing or where they are going. 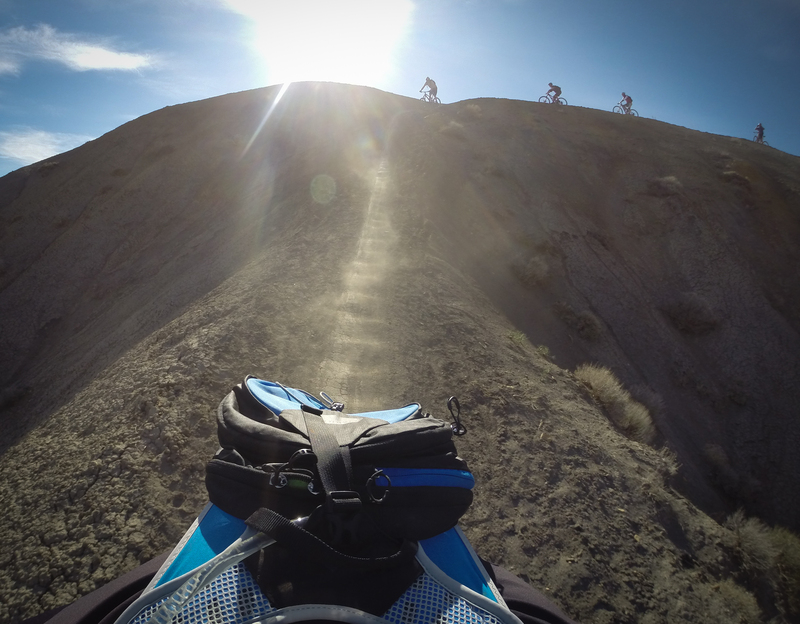 This pack stays put even with 4-5 foot jumps into a G-out situation. That is solid fit. 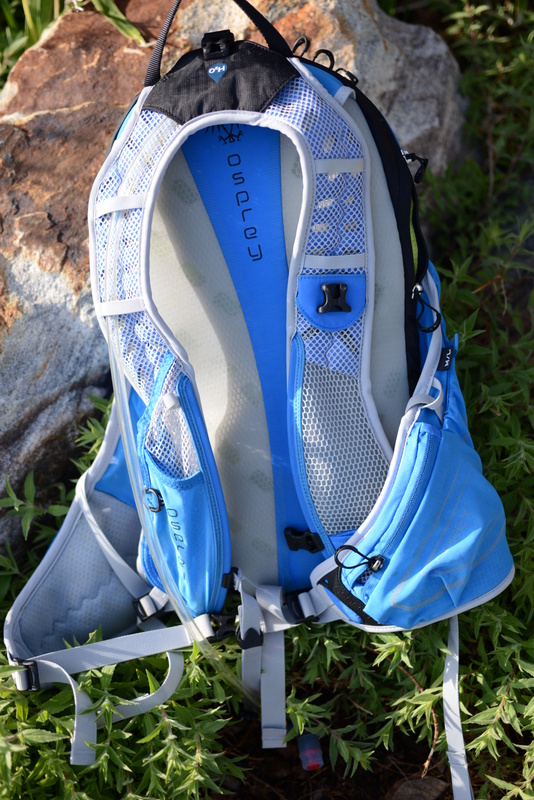 Thanks to Osprey for sending the Rev 12 over for review! Loved the pictures in your review, makes me want to go buy an Osprey pack and go ride.